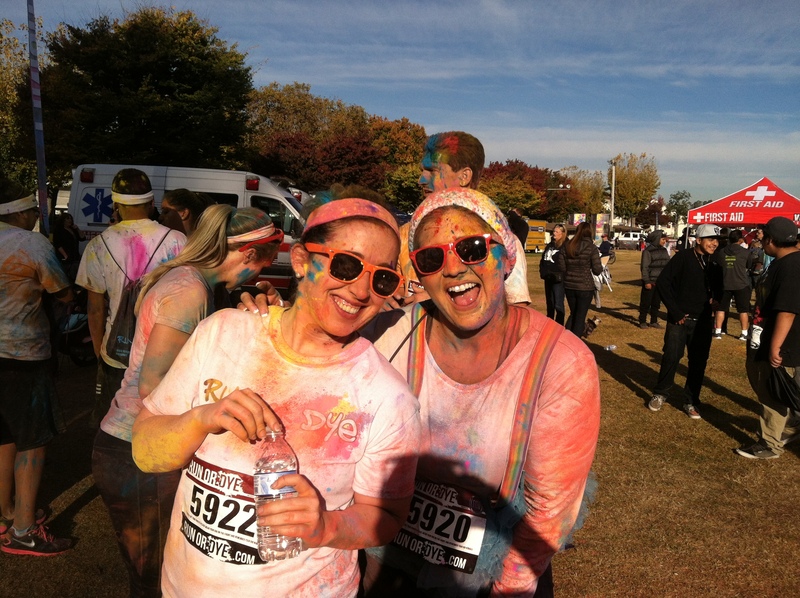 Over the weekend I ran Run or Dye so my first 5K is now done and in the books! 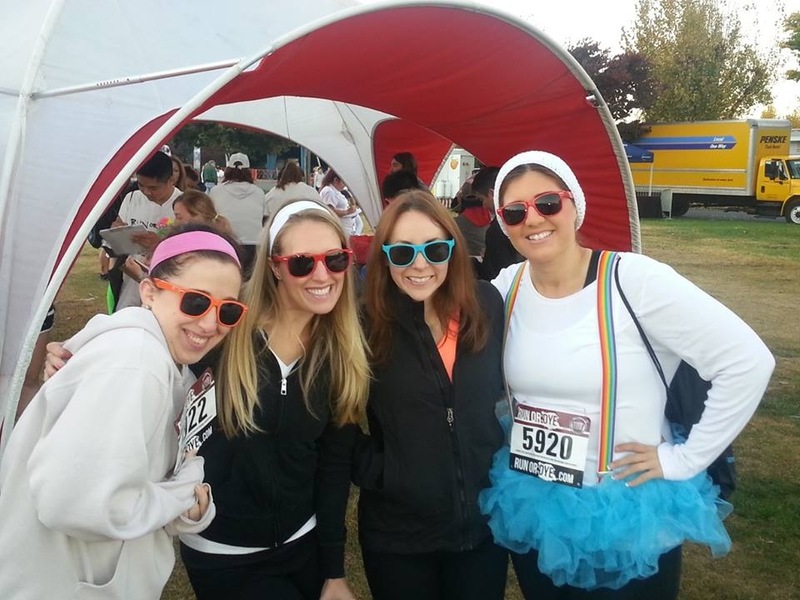 I woke up at the crack of dawn to get ready, drink coffee and meet up with four of my friends to carpool to the race. We arrived at the Santa Rosa Fairgrounds around 7:30 a.m. to make sure we had enough time for race prep and packet pickup. We didn’t really need to get there that early, and it was freezing cold so we waited in the car until the start of the race. At 9 a.m. we lined up with all the other runners. They sent around 500 runners off at 9 a.m. and then waves of runners every 5 to 10 minutes after that. They had fun music playing and were throwing out goodies to the waiting runners so the wait didn’t feel too long. We were sent off in the 5th or 6th wave, and my only regret for the race is that I didn’t look at our starting time. Our plans had been to take the race easy but we ended up settling into a relatively quick jogging pace and ran the entire race! I took about 3 20 second walking breaks, but other than that ran steadily the entire time. I was surprised at how easy the race was (I guess all the time at the gym is paying off!) and I really wasn’t even winded. We finished strong and I was really excited that we ran the entire 3 miles. 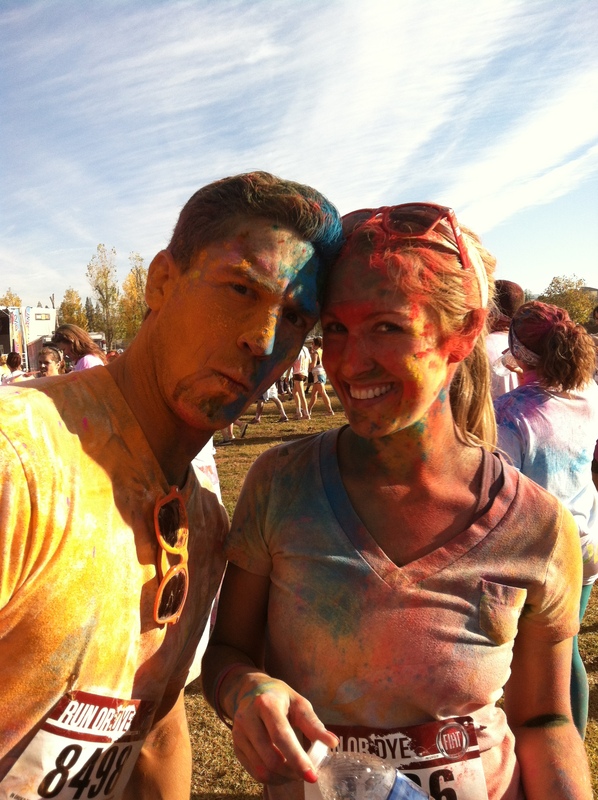 Along the race route were four stations with volunteers throwing dye. 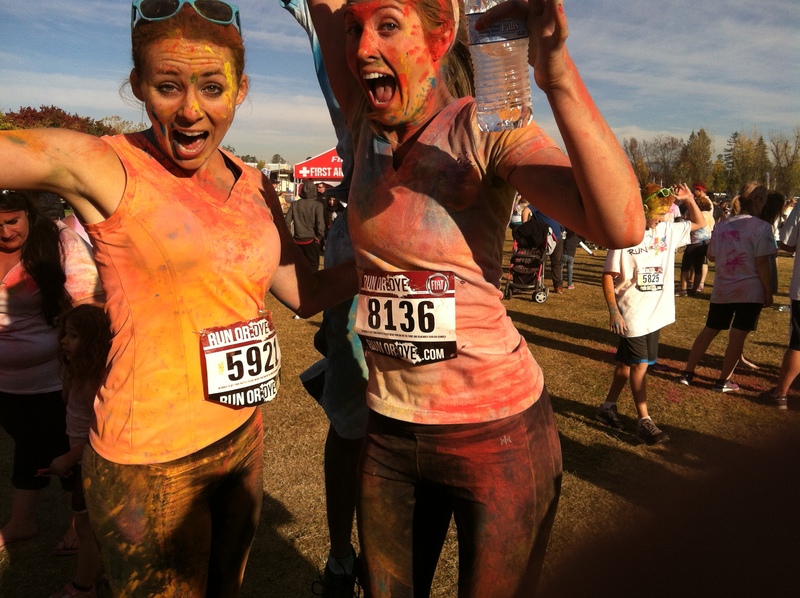 We all got hit with color at every station so by the time we crossed the finish line we were well saturated with purple, blue, green, yellow, orange and pink dye. So much fun! 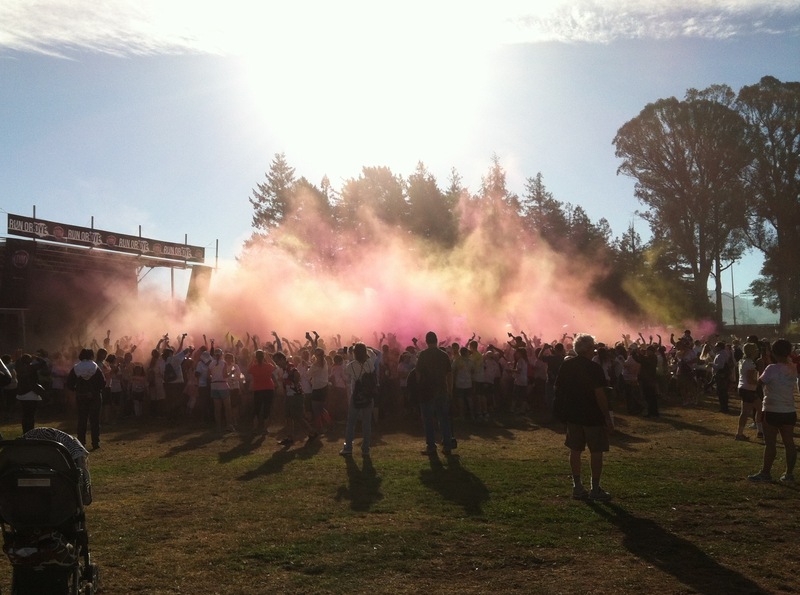 We made sure to join one of the tosses and came out completely covered in color. After the race we were all starving so we went to The Redwood Café in Cotati for breakfast, which specializes in healthy meals. I had the Huevos Rancheros and either due to the fact that the food was really good or that I was starving, it was one of the best meals I’ve had in a long time. 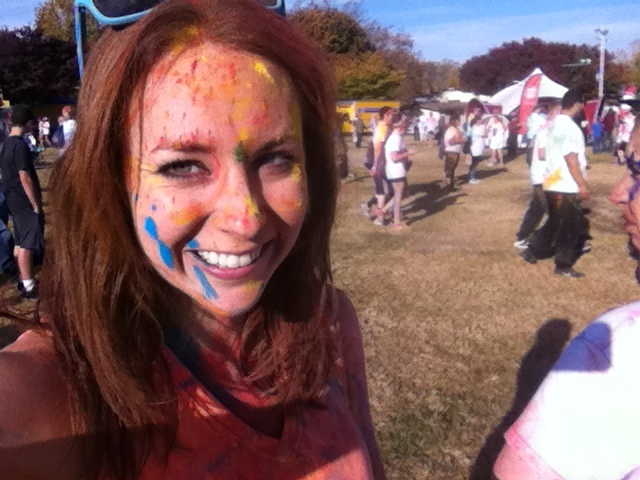 By the time I got home, dye was everywhere (in my car, all over my phone etc.). 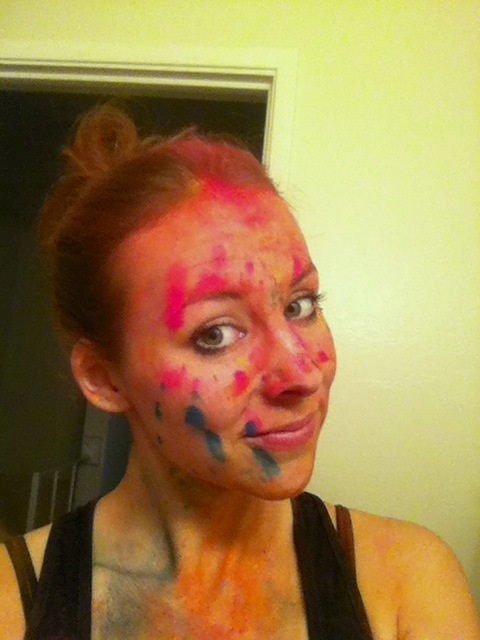 I ended up jumping in the shower fully clothed to wash everything off and I still had color coming off everywhere until I took a second shower the next day. I’ve never considered myself a runner, but finishing the race strong really made me want to run more and look into other races. 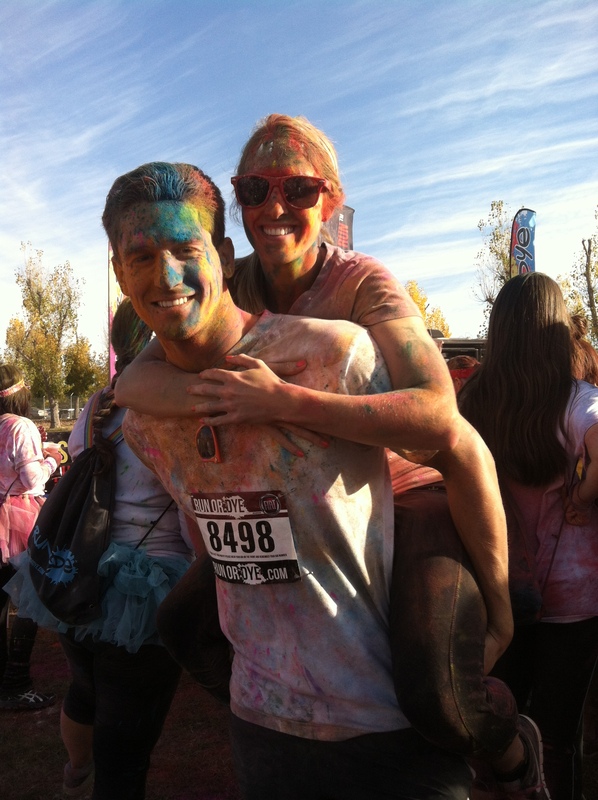 With the added fun component of the dye, this race was absolutely perfect for my first 5K!